The Affordable Care Act (ACA), commonly referred to as Obamacare, required most Americans to have health insurance as of January 1, 2014. 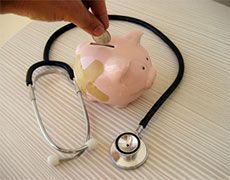 While there are some exceptions to this rule, the basic idea is that if you are a taxpayer or under the care of a taxpayer, you are required to have health insurance. Further, the insurance must be qualified, meaning that it meets a certain degree of minimum essential coverage. It also means that the taxes you file in 2015 look a little different. Here are some of the tax changes you need to be aware of. One of the biggest changes taxpayers will see on their 2015 taxes is the need to report their health insurance. Roughly 85 percent of Americans now have health insurance. For these people, whether they have employer-sponsored coverage or independent health insurance, they will have to confirm that they have qualified for what is considered minimal essential coverage and are eligible for an exemption, or pay a penalty when filing their federal income tax return. Qualified is the key word here. Some government-sponsored plans within Medicaid and TRICARE do not qualify as minimum coverage. If you used an Affordable Insurance Exchange or Marketplace to buy your health insurance and meet certain income requirements based on the size of your household, you may qualify for a tax credit to help offset your health insurance premiums. In some cases your health insurance tax credit will be paid directly to your health insurer; in others, you pay the health insurance premiums and receive a refundable credit on your taxes instead. However, you will have to meet certain requirements, such as filing jointly if married. There are also other provisions for unique hardship. If you qualify for one of these tax credits, you will need to report the credit on your federal income tax return. Even with the ACA, roughly 15 percent of Americans are still without insurance. If you are uninsured, or did not have insurance for three months or more in the 2014 calendar year, you will have to pay a penalty when you file your taxes. The amount of the penalty will depend on how many people without insurance are in your household. Penalties for not having adequate coverage are fairly low for 2014, but they will increase going forward. Moreover, there is always the option of setting up a repayment plan with the IRS. Essentially, 2015 is the year when the ACA comes together. Health insurance requirements are in place, as well as penalties for not having enough coverage. The changes the ACA brings about will have little-to-no effect for those who have their healthcare through their employers — but for the millions of nontraditional workers, there will be some big differences.